I am a co-founder of Hit-it PRO Home Inspection Software. We just launched this product on December 1st and would love for you to try it. We are offering a special program to InterNACHI members-first 2 months free of license fees. Our normal charges are a $25 registration fee and $19.95 per month license fee. This make us the most cost effective home inspection software on the market. There is absolutely no risk. Cancel for any reason in the first 30 days and receive a full refund. You mean the HIP abbreviation you stole to push lessor software ? Are you going to change the name ? Looks just like the 2000 version of Report Plus. The software was developed by Steve Sheldon,an InterNACHI member, who is president and founder of Hit-it Today Inspection Training in Atlanta, and the name was taken from there not stolen from anywhere. For that reason we have no plans to change the name. I'm not sure how you have determined it is a lesser software as you haven't used it but thank you for your interest and comment. 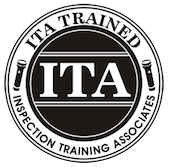 The software was developed by Steve Sheldon,an InterNACHI member, who is president and founder of** Hit-it Today Inspection Training in Atlanta**, and the name was taken from there not stolen from anywhere. For that reason we have no plans to change the name. I'm not sure how you have determined it is a lesser software as you haven't used it but thank you for your interest and comment. Perhaps a Kaplan graduate will forward your info to them! OMG, how many times is it now?